Dr Katharine Vincent is in Blantyre and Lilongwe this week to undertake research for UMFULA. 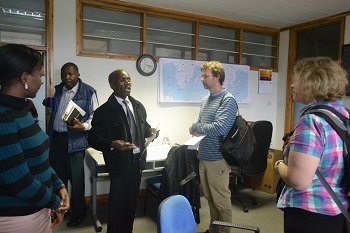 The "Uncertainty Reduction in Models for Understanding Development Applications" (UMFULA) project is part of the Future Climate for Africa programme, and concerned with climate services in Africa. 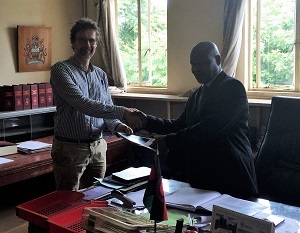 UMFULA is working with partners in the public and private sectors in Malawi and Tanzania to determine how climate information can inform planning in the agriculture and water sectors at a variety of levels. The purpose of the visit is to undertake institutional and capacity assessment, and to investigate the political economy of decision-making contexts. Dr Katharine Vincent is in Johannesburg this week to participate in the 2nd Southern African Adaptation Colloquium at the University of the Witwatersrand. The event is co-organised by the Global Change and Sustainability Research Institute, the African Climate and Development Initiative and the South African Adaptation Network and has the theme "Solution Spaces and Futures: Learning together in a climate challenged world". Katharine will participate in a panel on funding adaptation, make a presentation on co-production and climate services (on behalf of UMFULA in conjunction with FRACTAL-two projects under the Future Climate for Africa programme), and facilitate an open engagement session on co-design and adaptation. 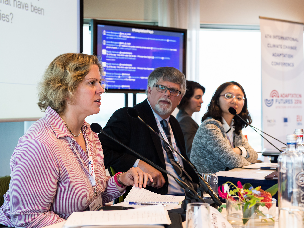 Dr Katharine Vincent participated in the UNFCCC Adaptation Forum, held alongside the 2016 Adaptation Futures conference in Rotterdam. The theme of the forum was "Adaptation under the UNFCCC after the Paris Agreement". The purpose was to inform participants of the adaptation aspects of the Paris Agreement, and for the Adaptation Committee to receive inputs from participants on methods to monitor adaptation with respect to the agreement. Katharine gave a presentation entitled "What can be done to effectively and efficiently recognize the adaptation efforts that have been undertaken by developing countries?" The entire session of presentations and discussion is available to view here. Dr Katharine Vincent and Ms Tracy Cull are in Addis Ababa to present agricultural adaptation good practices to the Comprehensive Africa Agriculture Development Programme (CAADP). The report arises from a project managed by Kulima and UNIQUE Landuse and Forestry as part of the GIZ support to CAADP. 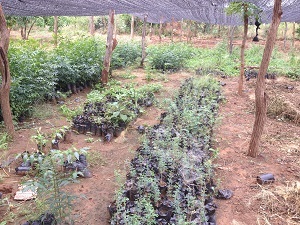 Over the last two years primary research was undertaken to document observed adaptations in various farming systems in Burkina Faso, Cameroon, Ethiopia, Togo and Zambia, as well as in South Africa. 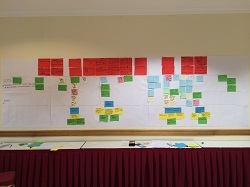 Six continent-wide good practices were then determined based on a transparent evaluation framework for good practices in agricultual adaptation, developed in early 2015. Dr Katharine Vincent and Ms Tracy Cull, together with the Frankfurt School (UNEP Collaborating Centre for Climate and Sustainable Energy Finance), are developing criteria for evaluation of adaptation investment plans that will be submitted by countries participating in a new sovereign climate insurance product. The Extreme Climate Facility (XCF) is being developed by African Risk Capacity to support national level adaptation and disaster risk planning based on a payout trigger that will likely be variation of a 5 year average relative to long-term mean climate conditions. The Climate and Development Knowledge Network have been supporting the project, which has assessed the current state of adaptation planning in seven African countries, including Malawi, Kenya, Rwanda and Zambia. The purpose has been to develop robust, yet realistic, financial and project management criteria, and sound adaptation principles against which submitted investment plans will be evaluated. Save the Children UK, on behalf of the Africa Climate Change Resilience Alliance (ACCRA), has released a report of a consortium partner workshop and stakeholder meeting held in October that were both facilited by Kulima. The consortium partner workshop brought together the NGOs involved in ACCRA in Mozambique to assess the progress that has been made with regard to climate change adaptation and disaster risk reduction in the country, the current state of debates, and where and how the ACCRA members have been successful in contributing to progress. The stakeholder meeting fed back these results to a wider range of government and non-government partners. The purpose was to assess the future trajectory and what will need to be put in place to achieve the future visions for a climate-resilience Mozambique. Dr Katharine Vincent has just returned from the second learning forum of the Climate Change Adaptation in Africa (CCAA) Programme. The CCAA programme is funded by the Department for International Development (DFID) and International Development Research Centre (IDRC) and has been in operation since 2006. 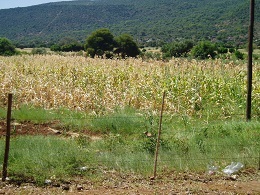 It supports a portfolio of 43 research projects across the continent carried out by African institutions, focusing on the use of participatory action research to simultaneously support adaptation to climate change and strengthen the capacity of African scientists and decision-makers to develop and implement sustainable solutions to respond to climate change. As the evidence generated from the various projects is growing, CCAA is organising a series of learning fora, with the intention of allowing project teams to reflect on the emerging contributions of their research findings towards various topical debates within adaptation. The second learning forum, held in Dakar, Senegal, focused on the contribution that adaptation activities make to poverty reduction. Katharine was contracted to be one of two scientific editors, responsible for synthesising the empirical findings of projects relating to the mechanisms through which adaptation measures can contribute to improving the lives of the poor. It is anticipated that the final report will be released in early 2011.